Melissa Gibson meets the man who killed her family when she was a 10-year-old missionary girl. Melissa and I first met 15 years ago. On Dec. 23, 2003, I received a call from the General Conference informing me that a missionary family had been tragically murdered on the Pacific island of Palau. Only a 10-year-old girl had survived. I was asked to go and provide care for her and support for the local church community. I left on Christmas morning to make the long journey from the U.S state of Michigan to Palau. I was introduced to Melissa in the fellowship hall of Koror Seventh-day Adventist Church, the main church on the island. This is the church where the queen of Palau worships and where Melissa’s father had pastored. Melissa was a beautiful child — petite with dark brown hair and fine facial features. Although she was quiet, her demeanor did not reflect what she had experienced in the previous few days. Melissa and her family were originally from Brazil. Her father, Ruimar, was born of missionary parents on the banks of the Amazon River. He was the firstborn of four sons and grew up as a missionary kid. His parents, Drs. Itamar and Ruth DePaiva, began their long missionary careers serving in the Amazon. When they went to Andrews University to obtain doctoral degrees, Ruimar attended Andrews Academy and Andrews University. After completing his bachelor’s degree in theology, he went back to Brazil to begin his career as a pastor and to find a Brazilian wife. While there, he met Margareth Ottoni, and the two of them married on Dec. 22, 1988. Their son, Larisson, was born on March 1, 1992, and Melissa was born on Sept. 25, 1993. When Melissa was 4 and Larisson was 5, Ruimar and Margareth decided to return to Andrews for graduate studies. Margareth, Melissa, and Larisson had to learn English. While Ruimar studied, Larisson started first grade and Melissa entered kindergarten. Margareth worked at various jobs to help support the family. They all learned quickly, made friends, and adjusted to their new lives in the United States. When Ruimar completed his master’s degree, the family received a call to be missionaries in Palau. Ruimar had been asked to be the senior pastor of the Koror church. 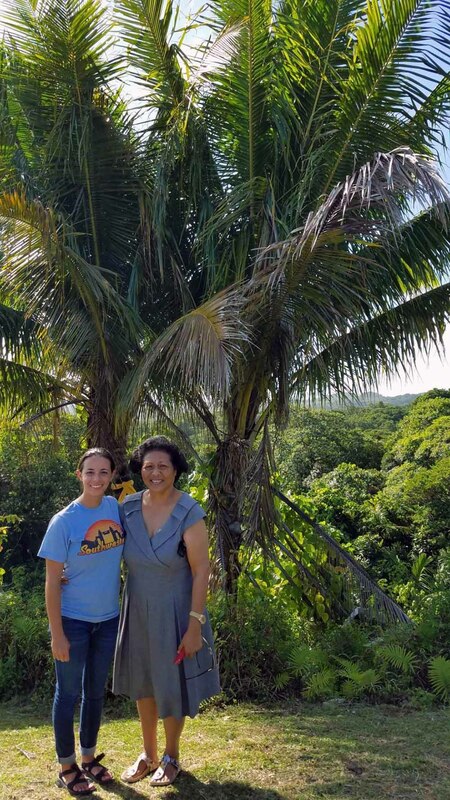 Ruimar and Margareth, along with Melissa and Larisson, embraced this opportunity and moved to Palau in June 2002. Palau is a small island nation with a population of about 21,000 people. It is located about 500 miles (800 kilometers) west of Guam and 600 miles (960 kilometers) east of the Philippines, and it is made up of more than 200 islands, eight of which are inhabited. Palau has seven Adventist churches as well as an Adventist primary school and academy. The schools have a reputation for being the best on the island, with many leading citizens of Palau having attended, including the queen. The DePaivas adjusted quickly to life in Palau. They made friends easily and became part of the local community. Ruimar and Margareth took a nurturing role in the lives of the student missionaries and often invited them to their home. Melissa remembers that her mother loved to cook and to host large groups of people from the church. Their home was outside the city on the road leading to the academy. The only nearby house belonged to the principal. In December 2003, no one lived in the principal’s house because it was being remodeled. Each day, numerous construction workers passed by the DePaivas’ home on their way to work on the house. Larisson and Melissa loved Christmas. On the evening of Dec. 21, the sights, sounds, and smells of Christmas filled their home. The tree had been put up early and beneath it were many presents, not just for Larisson and Melissa but also for the student missionaries. Margareth began preparing food well ahead of time for the many guests who would join them for the holiday. The home smelled of freshly baked breads and pastries, and the refrigerator was full of wonderful Brazilian food. Ruimar was an accomplished pianist and enjoyed playing. He had been away in Guam for meetings and had just returned so, after a meal together, he filled their home with beautiful Christmas music. Melissa remembers her mother playing a board game of Life with them before telling her and Larisson to go to bed. The following day was Ruimar and Margareth’s 15th wedding anniversary. Melissa smiles as she recalls telling her parents that she would sleep with them as an anniversary present. She fondly remembers her parents tucking her into theirbed and her father singing her to sleep. He then returned to finish a project before coming to bed himself. As the family slept peacefully, an intruder entered their home through the kitchen window around 3 a.m. The man had passed by their home daily on his way to work at the principal’s house. He had watched Larisson and Melissa playing outside. Melissa was awakened to find both parents out of bed and a terrible noise in the hallway. After murdering her parents and brother, the intruder tied Melissa up and put her into the trunk of his car. He told her that she was now his property and drove away with her. The following day, he left her alone in the house where he was living while he went to work. Beginning to fear discovery, he returned home that evening and asked what he was going to do with her now. Hoping that he would release her, Melissa asked him to take her to the church. Instead he drove her to a remote part of the island, strangled her, and threw her into a ravine. When I made the long journey to Palau back in 2003, I prayed the whole way that Melissa would experience the healing presence of Jesus in her life. Although I was trained to treat the impact of trauma, I had never before encountered trauma of this magnitude, particularly in one so young. I felt overwhelmed by the tragedy and impact it could have on this young girl’s life. My prayer was that God would protect Melissa from the traumatic impact of all that she had experienced. 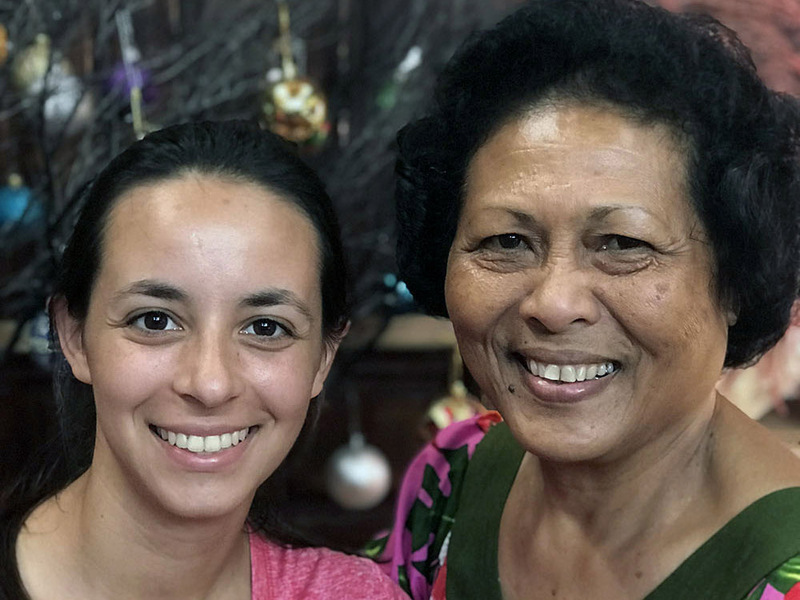 Melissa’s grandmother Ruth was the first to arrive in Palau after the tragedy. She had been able to catch a flight to Palau the same day that she received the news. Ruimar’s brothers Emerson and Hernan arrived soon afterward, followed by Melissa’s grandfather Itamar. It took Itamar longer to arrive because he was in Sudan, where he and Ruth recently had been called to serve. Ruimar’s third brother, Elimar, stayed behind to make arrangements for the funeral and burial in the United States and to communicate with family both there and in Brazil. News of the events that had transpired in Palau reverberated around the world. The murder of a missionary family. Three caskets. A national funeral. Grandmother Ruth’s visit to the prison. Her kindness toward the mother of the man who had killed her son and his family. The people of Palau were filled with shame and remorse for what had happened in their country. The president of Palau apologized publicly. The queen of Palau sat on the floor with other church members during the national funeral. The family of the murderer attempted to make financial restitution for what had happened. Yet Melissa did not want to leave. Palau was now her home. Although she understood that she could not stay, Melissa made it clear that one day she wanted to return. Life Back in the U.S. In the 15 years since leaving Palau, Melissa has never lost her desire to return. Much has taken place during this time. Understanding the importance of giving her a sense of home and belonging, her grandparents took her to Berrien Springs, Michigan. They put her back into the same school with the same classmates that she had had before going to Palau. Melissa’s Uncle Elimar and his wife, Racquel, left their jobs at Montemorelos University in Mexico and joined the family in Berrien Springs to give Melissa a greater sense of belonging and companionship. Melissa’s maternal grandparents, Pastor José and Marina Ottoni, came from Brazil to stay with Melissa for several months. Falling asleep was difficult for Melissa for a long time, and once asleep she awakened around 3 a. m., the same time as the attack. Grandmother Ruth sang until she fell asleep at night and was present when she awoke. Having additional family in the home provided a greater sense of security for Melissa. Frequently Aunt Racquel took Grandmother Ruth’s place, singing Melissa to sleep and providing the nighttime security and comfort that she needed. A year and a half after moving to Berrien Springs, Grandfather Itamar was asked to pastor two Brazilian churches in the Dallas area in the U.S. state of Texas, and Grandmother Ruth was asked to be the principal of Richardson Adventist School, now North Dallas Adventist Academy. Melissa’s Aunt Marjorie (her mother’s sister) and her family moved from Brazil to Dallas to be near Melissa. Melissa’s Uncle Emerson (her father’s brother) and his family later relocated there as well. Moving to Dallas would provide the greatest level of family support for Melissa. Her mother’s other sister, Mariane, was a missionary dentist and visited when she could. Melissa graduated from eighth grade, academy, and university in Texas. In July 2016, my husband and I attended Melissa’s marriage to Michael Gibson. She had just received a nursing degree from Southwestern Adventist University, and he had just graduated with a theology degree. A few weeks after their wedding, they moved to Berrien Springs, where he would attend the seminary and she would work as a nurse. 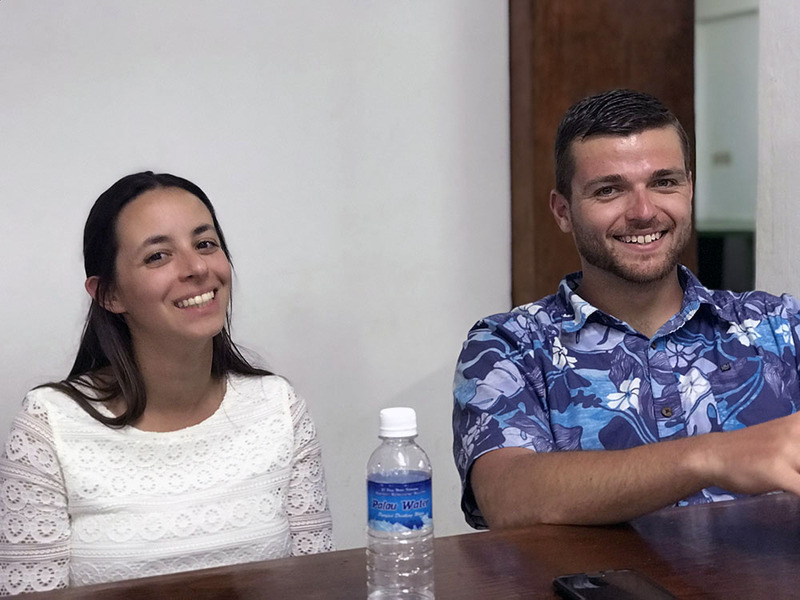 A few months prior to Melissa and Michael’s wedding, I had the privilege of meeting Pastor Tiago Cunha and his wife, Claudia, in Thailand during Mission Institute, a training program for missionaries. 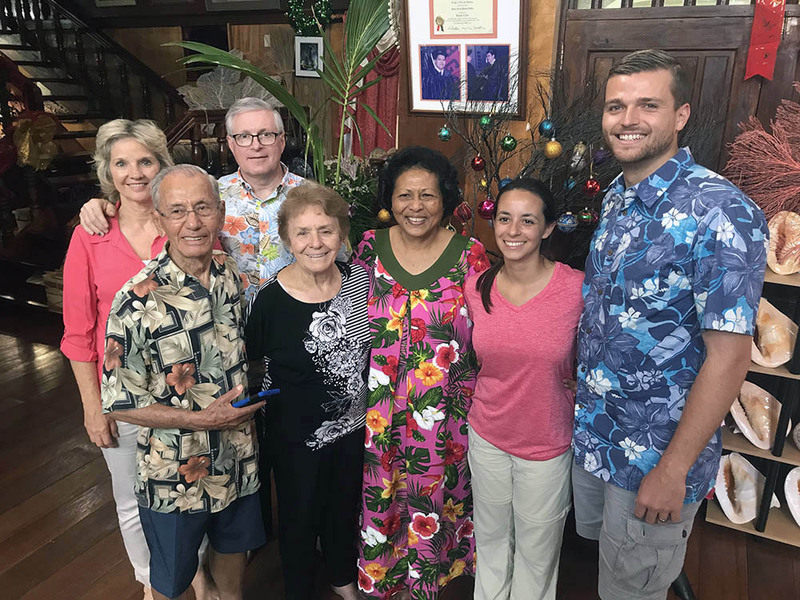 Pastor Tiago was serving as the senior pastor of the Koror church in Palau after arriving with his wife and their two young children from Portugal. When they first landed in Palau, many people said they reminded them of the DePaivas. When Pastor Tiago started his ministry in Palau, he felt impressed to invest time into the church’s local prison ministry. This was a ministry that Melissa’s father had started and in which Pastor Tiago had little previous experience. Not long after entering the prison, Pastor Tiago met Justin, the man who had murdered the DePaiva family. Justin was a hardened criminal serving three life sentences without parole. Nonetheless, it was clear that the Holy Spirit had been working in his heart. Fifteen years earlier, shortly after the killings, Grandmother Ruth had visited Justin in prison and asked why he had committed such a horrible crime. Without making eye contact, he said he had wanted to steal a television and video player. “But you didn’t take the television and video player. You took my granddaughter,” she replied. Ruth’s words played over and over in Justin’s mind, and the Holy Spirit used them to penetrate his heart. Over the years, Grandfather Itamar sent him religious material to read and prayed for his conversion. Pastor Tiago began Bible studies with Justin and, after several months, heard him confess and repent for his actions that night. Pastor Tiago stayed in regular contact with Grandfather Itamar after meeting Justin. When I first met Pastor Tiago at Mission Institute, he reported that Justin was close to being ready for baptism. At the time of the baptism, I was able to convey the news personally to Melissa and her husband, Michael. 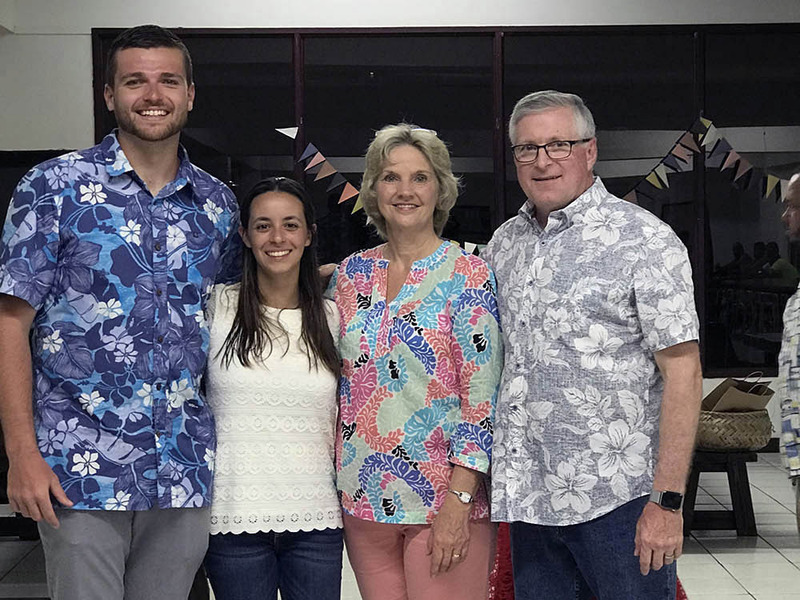 In June 2018, Pastor Tiago and his family came to Berrien Springs to meet Melissa and Michael and, with the support of the North American Division, begin planning for her to return to Palau. Pastor Tiago shared that the trip was important to the people of Palau. He said that Justin’s baptism had awakened memories in the hearts of many people of what had taken place on their island. Plans were made for Melissa and Michael to return, not just as visitors but as missionaries. They would do a week of prayer at the church where Melissa’s father had pastored. 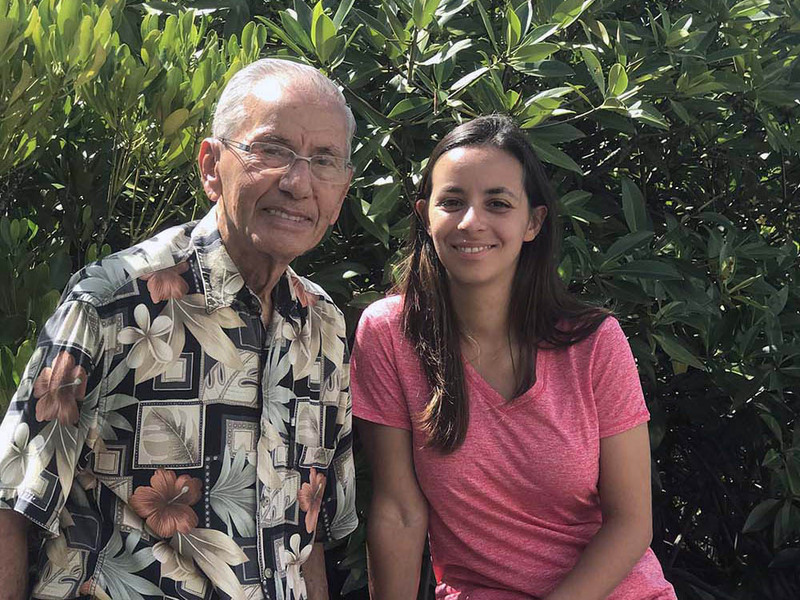 The young couple would not travel alone but go with Melissa’s grandparents Ruth and Itamar, now in their 80s and recently returned from mission service in Taiwan. Ruth was recovering from a hip fracture that created concern about her ability to travel. My husband, Loren, had been Ruth and Itamar’s physician for years earlier, so he and I ended up accompanying them to Palau. The journey began just after the U.S. Thanksgiving holiday in late November 2018. The first stop was Guam. The local Adventist community had been strongly affected by what had happened in Palau. Melissa remembered visiting Guam with her parents in 2002 and found it particularly meaningful to discover their signature in the guestbook at Adventist World Radio. Michael preached on Sabbath morning. Ruth, Melissa, and I led a two-hour seminar on suffering and the power of forgiveness in the afternoon. The Adventist community was blessed to see Melissa and hear how God has cared for her. They were also blessed to hear and see Ruth. Many were touched by their testimonies and the power of forgiveness to both heal and restore. They knew of the story of Ruth inviting Justin’s mother up to the podium at the national funeral 15 years earlier. They had heard about her putting her arm around the woman and saying, “We are both mothers. We raise our sons to know right from wrong. We teach them the best we know how, but when they are adults, they make their own choices.” They recalled how Ruth told the large crowd not to hold Justin’s sin against his mother or her family. They remembered her public forgiveness. She explained that she came from a family that did not forgive. Her mother, she said, had refused to speak to her as a teenager for a year and a half. Holding grudges was common in the home in which she grew up. As Ruth shared from her personal life, people saw that she was an ordinary Christian woman surrendered to the extraordinary power of God. The same forgiveness that Ruth demonstrated 15 years earlier permeated Melissa’s testimony. 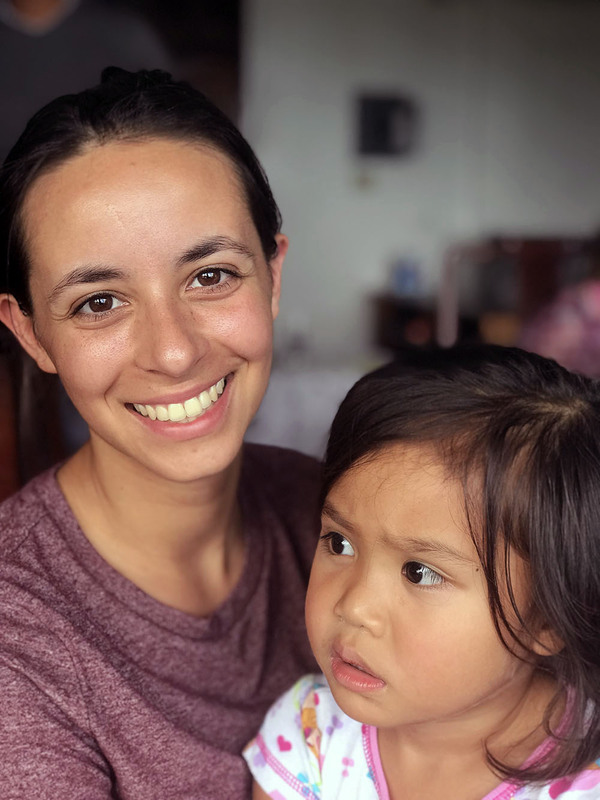 Rather than being shackled by the pain and hurt of the past, Melissa has been surrounded by the care of loved ones and has been free to deal with the normal challenges of growing up and becoming a healthy young woman with a passion to serve God. On Sunday evening, we traveled from Guam to Palau. When we arrived, we were met by a customs official who had anticipated our arrival. Taking our passports, he bypassed the lines and took us directly through immigration to a crowd waiting to welcome Melissa. He stopped just long enough to hug her. The child who had left in 2003 was now a young woman. As fresh flower leis were placed around her neck, Melissa was welcomed back and surrounded by the love and affection of the people whom her family had grown to know and love 15 years earlier. Tears came to her eyes as she hugged each person waiting to greet her. planned and organized Melissa’s airport reception and was waiting to see her when we arrived. In 2003, an elderly couple had found Melissa by the side of the road in the early morning hours of Dec. 23. After being tossed into the ravine and left for dead, Melissa had regained consciousness and crawled out of the ravine. Weakened by the ordeal and a lack of food or water, she was too weak to stand. The first car that passed did not see her lying by the side of the road. Melissa lifted her small hand when she saw the lights of a second car approaching. The couple in the car stopped and took her to their home, where they gave her something to eat. On hearing her story, they rushed her to the police and the hospital. Within a short time, news of Melissa’s survival reached the queen. Coming immediately to Melissa’s bedside, the queen provided a loving, protective presence until Grandmother Ruth arrived. When the queen learned that Melissa would return to Palau in 2018, she worked diligently to prepare a warm and loving island reception for her. Many others have provided love and care for Melissa throughout the years. The Whipps family owned the construction company where Justin worked. They were members of the Koror Seventh-day Adventist Church and are still members today. Immediately following the tragedy, they did everything in their power to care for the needs of Melissa and her family. After the national funeral in Palau, Surangel Whipps Sr. flew to the United States with the family and their precious cargo. He attended a second funeral in Keene, Texas, where the parents and brother were buried. Before returning to Palau, Grandfather José gave him a Bible to pass on to Justin. Surangel and his wife, Marylyn, have maintained contact with Melissa and her grandparents over the years and attended her high school graduation in 2011. These loyal friends were at the airport when Melissa returned and welcomed us into their home as their personal guests. 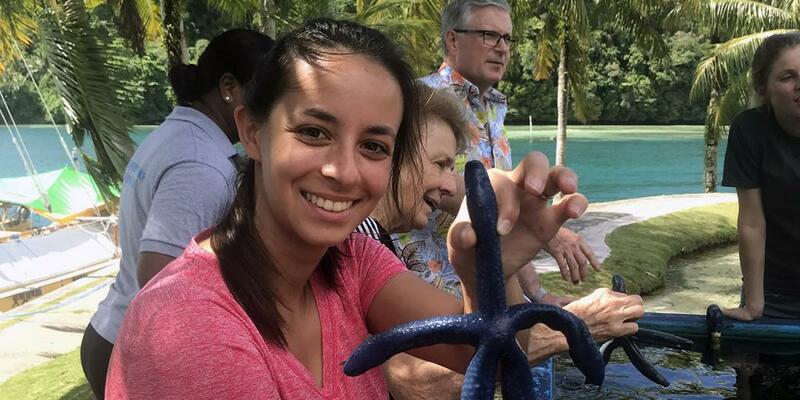 During our time in Palau, Melissa was surrounded by people and places connecting her to her childhood. The Whipps family and the queen carefully planned meetings and events that would be meaningful to her. They arranged a tour of the parliament and a visit with Palau’s president, Tommy Remengesau, who also was president at the time of the tragedy and had spoken at the national funeral. He was moved to see Melissa return and welcomed us into his office. He said her life and return to Palau was the greatest sermon ever preached on the power of forgiveness and the healing power of God’s grace in his country. Before we left, Grandfather Itamar had a prayer for him and his country. The Whippses and the queen also arranged for boat trips to the Rock Islands and other places that Melissa remembered fondly from her childhood. The queen spent a day with us, showing us around and taking us to her own home. Melissa’s heart was moved as she reconnected with so many of the people and places that she loved. She also faced the people and places that brought to memory the tragic events of Dec. 21, 2003. Melissa went back into the home where her family lived and died. She was last there as a 10-year-old child. She entered the home now as a young woman with her husband by her side. Although there were tears, her heart was also filled with joy for all that God has done for her. She rejoiced that she will see her parents and brother again one day and be able to introduce her husband to them. The queen also took Melissa and the family to the place where she had been strangled and thrown into the ravine. Back in 2003, shortly after Melissa left Palau, the queen had commemorated the miracle of her survival by planting two coconut trees on the spot where she had been found. Melissa said she remembered climbing out of the ravine but expressed surprise at seeing how deep it was. It was very meaningful to have the queen take her there, to see the beautiful, tall coconut trees, and to share the experience with Michael. Before arriving in Palau, Melissa wasn’t sure how much she wanted to share about her painful childhood experience. Before Michael preached at the week of prayer each evening, Melissa and I led the congregation in a season of prayer. Each evening Melissa was able to share a bit more of her experience. One day, Michael preached on trust and not needing to know all the details of where we are going when we are with someone we trust. The next evening, Melissa shared that she had not been alone that day while locked up in Justin’s house. Like Daniel in the lion’s den or the three Hebrews in the fiery furnace, Jesus was with her. She said she had felt His presence and it had brought her peace and calm. When asked how she reconciled God’s presence in light of all that had happened to her and her family, Melissa acknowledged that this was one of the most difficult questions for any Christian to answer. While we live in a world where sin and death reign and an ongoing battle is raging between the forces of good and evil, she said there are three possible answers to that question. First, God allows it to bring some greater good out of it for us. Second, He allows it to bring some greater good out of it for someone else. Third, things happen for reasons beyond our understanding. In our finiteness as human beings, we can’t know why things like this happen, but we can trust that God has a plan for us nonetheless. Melissa said that despite all that happened, God has provided for her and protected her physically and emotionally from the long-term impact of these traumatic events. His healing power and presence have sustained her. On the last Sabbath afternoon, Melissa, Ruth, and I held a special session that was open to the church and community. During the session, we each shared our testimonies of how God is particularly close to those who suffer. We shared how our own suffering can be a doorway for the Holy Spirit’s indwelling presence in our lives. Many in the congregation were able to identity God’s presence in their lives through their own journeys of suffering and loss. They were inspired by God’s grace in Melissa’s life and how He has used her and her grandparents to inspire others to faith. 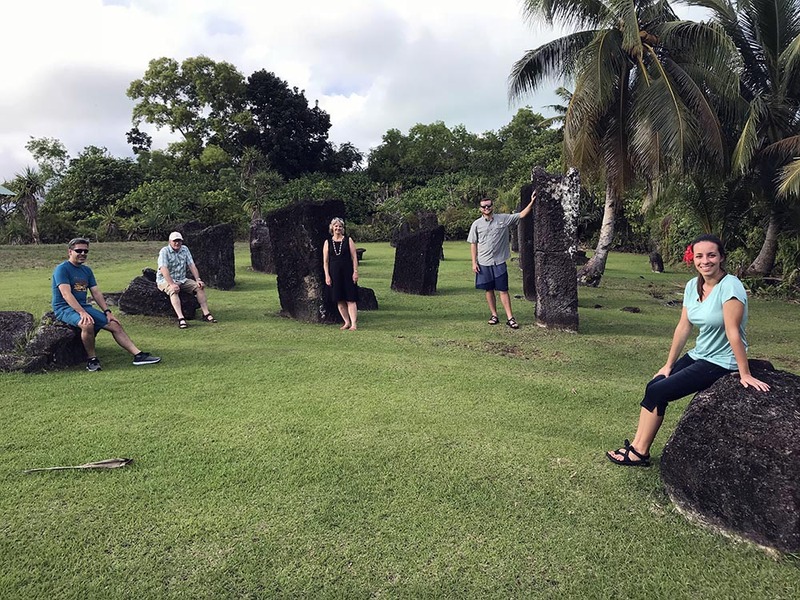 Melissa, right, exploring Palau with her husband, Michael, second right, Ann Hamel, center, and others. Palau Queen Bilung Gloria, third right, Salii welcoming Melissa and her husband, Michael, right, to her home in Palau. Also pictured are Itamar and Ruth DePaiva, front left, and Ann and Loren Hamel. 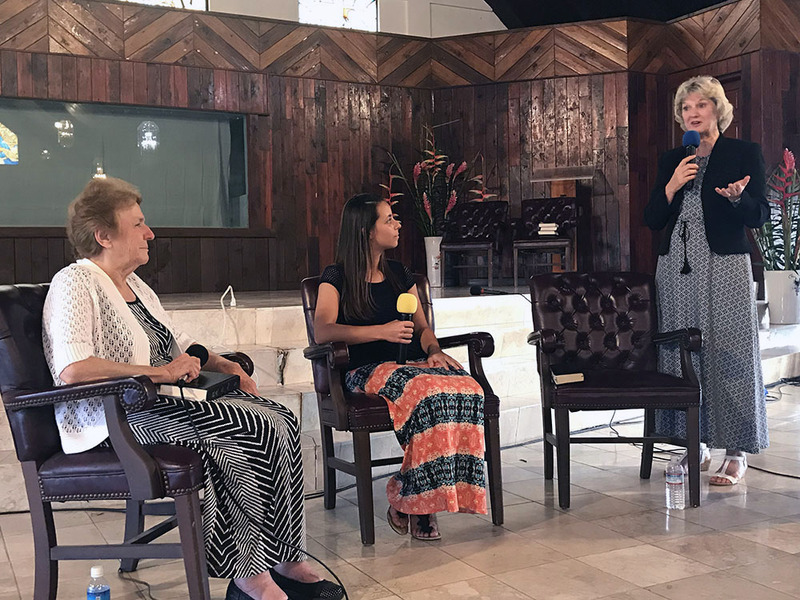 Ann Hamel, right, speaking at a Sabbath afternoon session with Melissa, center, and Ruth DePaiva. Melissa and Michael with Ann and Loren Hamel. Melissa with Palau Queen Bilung Gloria Salii. God’s grace is a powerful force to heal and restore what is lost and broken. It had been two years since Justin gave his heart to Jesus in full surrender and repentance and was baptized. Since that time, he had shared his testimony freely with all those who would listen in the prison. His life was a testimony to the saving power of the cross. He was an avid reader and had read the books that Melissa’s grandparents sent him over the years. He had been instrumental in leading two other prisoners into a saving relationship with Jesus and in building the prison baptismal tank used for their baptisms. Even though Justin wrote apologetic letters to Melissa and her grandparents prior to his baptism, he hoped to be able to apologize to Melissa and her family in person. Hearing that the DePaiva grandparents were working in Taiwan, he wondered whether they would be able to return to Palau. As he was preparing for baptism, he had a particularly strong desire to see Grandfather Itamar and thank him for his prayers and support. Not knowing if this would ever be possible, he still imagined what he would say if he ever had the opportunity. Prior to arriving in Palau, Melissa did not want to visit Justin in prison. When she arrived, however, a desire began to grow in her heart to visit the man who God had transformed. It was decided that a small group would accompany her into the prison. In 2003, Surangel Whipps Jr. had been with Ruth when she visited Justin in prison, and he agreed to accompany the group this time. After the Sabbath afternoon session, Melissa and Michael, Ruth and Itamar, and my husband and I made our way to the prison. Joining us were Pastor Tiago; Ken Norton, president of the Guam-Micronesia Mission; and principal Abner Sanchez. When we arrived, one of the police officers who had cared for Melissa back in 2003 greeted her. Entering the room set aside for our meeting was almost a surreal experience. The man who had murdered the DePaiva family stood behind the table with his hands folded behind his back. After being introduced to each one of us, Justin spoke first while we sat down. He expressed his profound remorse for his actions and desire to live a life worthy of the gift of salvation. He expressed his desire to see Ruimar, Margareth, and Larisson in heaven and personally apologize to them. He expressed his love for our Savior and his desire to live faithful to His calling in this life. Ruth spoke next. She recalled their meeting 15 years earlier. She rejoiced with him for his acceptance of Jesus. She gave him a book titled “Jesus, Who Is He?” by John and Millie Youngberg and encouraged him to continue studying the Bible and growing in his relationship with the Lord. Itamar spoke next. As a true pastor, he encouraged Justin in his walk with God. After this, Michael stood, walked around the table, put his hand on Justin’s shoulder, and asked if he could pray for him. After he prayed, we left. Grandfather Itamar and Pastor Tiago stayed behind for a few minutes to pray again with Justin and to encourage him in his witness in the prison. Jesus says, “But you will receive power when the Holy Spirit has come upon you, and you will be my witnesses in Jerusalem and in all of Judea and Samaria, and to the end of the earth” (Acts 1:8, ESV). The early disciples witnessed the power of the Holy Spirit transforming lives and bringing thousands to Jesus. That day, we were witnesses to the power of the Holy Spirit to transform a life that the enemy of our souls claimed as his own. Although Justin will spend the rest of his life in prison, he is a free man. He is a witness to the power of the gospel to all of us, as well as the men with whom he lives day to day. Melissa spoke a profound truth that evening, not just to Justin, but to each of us. It’s easy to see that Justin needs a savior and marvel that God can transform and save someone like him. It is easy to see our sins as not so bad. Melissa recognized, however, what most of us fail to recognize — that we are all sinners in God’s sight. We are all equally in need of a savior. God’s ability to save us is just as miraculous as His ability to save Justin. All heaven rejoices when any one of us comes to Jesus. We can praise Him today for His marvelous gift of salvation and willingness to live and die for Justin, Melissa, and each one of us. L. Ann Hamel, PhD, DMin, is a psychologist, International Service Employee Support Team Board-certified expert in traumatic stress, and fellow at the American Academy of Experts in Traumatic Stress. Editor’s note: Ted N.C. Wilson, president of the Seventh-day Adventist Church, will interview Melissa Gibson and L. Ann Hamel on his “Mission Matters With Ted Wilson” television program on Hope Channel in July 2019. Taxi Evangelism Working among the Samburu tribe in remote areas of Kenya, this quarter's 13th Sabbath Offering mission projects and the healing touch of medical missionaries.